18V ONE+™ STRING TRIMMER/SWEEPER COMBO is rated 4.6 out of 5 by 268. Rated 5 out of 5 by Brewmaster from Solid outdoor set! Bought this last spring to replace a B and D plug in model and have a blower. I have 2 in town lots so I always had 2 extension cords out just to get to the edge of my property where we have some trees, what a hassle. With ryobi's one+ system, no more dragging cords. The auto spool feature is 100 times better than my old one. The edger worked flawlessly. Blower is great for cleanup, my father in law "borrows" it instead of hassling with cords and plug ins. The large lithium battery will do the full yard with some to spare and charges quick. I plan on buying the pruner and chain saw for this summer! Rated 5 out of 5 by vwcrisc from Great price for two tools I own a Ryobi trimmer. My blower is gas/oil fueled. I was getting tired of having to miss the fuel in the proper proportions for my blower. When I saw this advertised at Home Depot I made my mind up to purchase it. Also it was a great price for both the trimmer and the blower. Rated 5 out of 5 by grover959 from Great Choice for Average Homeowner These work great for a small to average size lawn. The trimmer is lightweight, cuts well and has a good run time on the included battery. While the blower doesn't have the power to move wet leaves, it works great for lawn clippings. 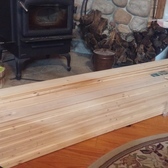 I also use it in the garage / workshop for blowing out sawdust and other. My biggest surprise of having these is that because they are lightweight, quiet and simple to use, my wife routinely uses them. This is something she would never do with previous blowers or trimmers I had that were gas powered, or required a power cord. Rated 4 out of 5 by GreenThumb from Great Value! This Ryobi Combo Kit gets your yard chores done conveniently and effectively. No need to fuss with gas, oil or cords - this set runs on an efficient lithium-ion battery. The adjustable cutting swath lets you choose from a longer run time or wider cut path. Switch easily between functions such as trimming, edging and sweeping. The unit's light weight makes hard work easy and the ONE+ 18-Volt lithium-ion battery is compatible with all Ryobi ONE+ tools - plus, you'll get fast recharging with the dual-chemistry quick charger, all backed by a 3-year warranty. Rated 5 out of 5 by ROY_BOCK from a VERY Complimentary Combo I purchased this combination with my son in mind. They are light but well balanced. They are a great addition to the ONE+ family. The only trouble so far was strangely wound string on the original spool. It almost seems to have been wound on backwards and was trying to feed from underneath. I had to unwind it and then rewind it back onto the spool. Since then I have experienced no other problems. I also purchased the head with the fixed blades and find it seems to work better then the string. A very nice pair for the price. Well worth the money. Rated 5 out of 5 by Stuboy from Best purchase I have made in a long time! I picked up my edger/blower combo 2 years ago on a Memorial Day special. Since I brought it home, I haven't touched my gas trimmer. (Don't know if the gas trimmer still works or not.) I liked it so much, I got one for my father too when he said his trimmer was having problems. This trimmer is not going to win you any power contests, but it is easily enough to get the job done. I have liked the autofeed string feature. The battery charges fast, but with all the Ryobi One tools and batteries I have now, that point is moot for me. It really does give you good power until the end. When the tool stops, I change the battery and finish he job. 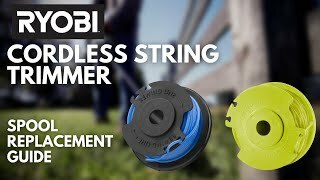 The fully adjustable head is great for whatever kind of string trimmer or trimmer job I need. This Ryobi combo kit gets your yard chores done conveniently and effectively. No need to fuss with gas, oil or cords-this set runs on an efficient lithium-ion battery. The cutting swath is adjustable so you can choose from longer run time or a wider cut path. Switch easily among functions such as trimming, edging and sweeping. The unit's light weight makes hard work easy. 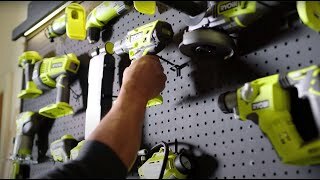 The ONE+ 18-Volt Lithium-ion battery is compatible with all Ryobi One+ tools, that’s 50+ tools, you'll get fast recharging of the battery with the dual-chemistry quick-charger. All backed by a 3-year warranty, look to Ryobi for performance and versatility. Steel shelf to fully enclosed pantry.